The PD982i is an analog and DMR digital two-way radio with full keypad and color screen, rated IP68 for dust and waterproof. It offers up to 1024 of channel capacity and up to 64 of zone capacity. 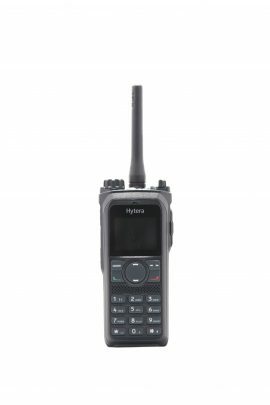 The PD982i standard features include roaming, scan, voice notification, text messaging (pre-programmed and freeform), dedicate emergency button, priority interrupt, radio enable/disable, alert call, emergency alarm, remote monitor, man down, lone worker, basic encryption and enhanced encryption (40 bit). -It supports a micro SD card with a maximum of 32G to record up to 576 hours digital/analog voice. -Single Frequency Repeater Mode. The PD982i can use one slot to receive signal and another to transmit it on the same frequency at the same time, extending communications distance in DMO mode. -It has built in Bluetooth 4.0 that supports audio and data transmission, such as programming via Bluetooth. -It allows for Full Duplexer Call with other PD982i, telephones or cellphones. -Smart battery makes it easier to monitor battery life time and remaining charge time. -Better sensitivity and Frequency Stability. -Enhanced voice quality with a maximum 2.5W output speaker and new noise cancelling technology. -360° Seamless Channel knob turn.